This is an exquisite table thoughtfully crafted so that it offers a refined look to your home interior. If you love simple yet stylish tables, then this one is for you. Made from superior quality materials, this table speaks about the craftsmanship put into making it. The entire table is antique gold in color with a shiny finish. 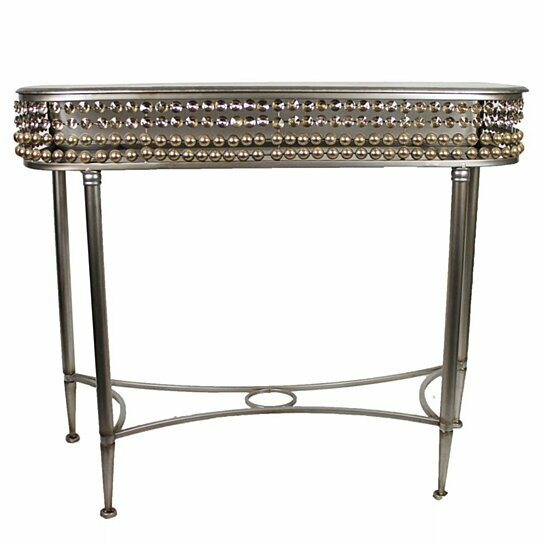 The highlight of this table is its oval shape and pearl studded border.